Let’s take the next step. Using the OneTouch Reveal® mobile app, the OneTouch Verio Flex™ meter sends your blood glucose readings wirelessly to your compatible mobile device. See a bigger picture to help you stay on track between visits to your healthcare professional. The app helps you keep track of all your important information like carbohydrates, exercise and insulin along with your blood glucose readings in the logbook. 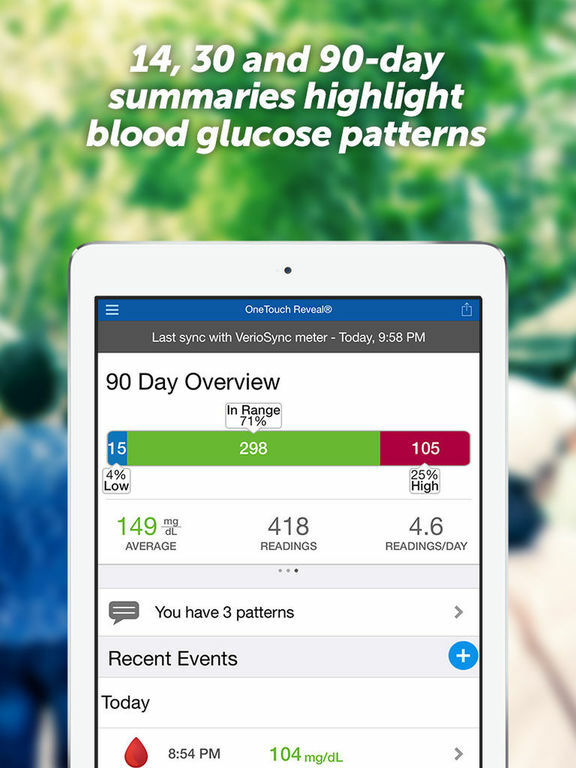 Simple, colorful visuals and 14, 30 and 90-day summaries highlight your blood glucose patterns to help you get more meaning out of your blood glucose results. Your OneTouch Verio Flex™ meter readings are automatically transferred and recorded for you – so you can get on with the moment. Plus you can track carbs, activity, medications, and add notes to each reading. Results can be shared with your healthcare professional via email or text. The app can be used on smartphones or tablets. Automatically backup your readings and important data (carbs, insulin, and exercise) in your OneTouch Reveal® account. Type 1? Type 2? On insulin or other diabetes medications? 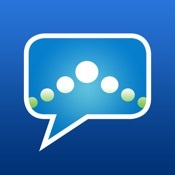 Get the OneTouch Reveal® mobile app, now! If you’d like to know more or have any questions about the OneTouch Reveal® mobile app, please get in touch by phone or email. You can also visit our website for more information on OneTouch® products. Note: Compatible with iOS 8 or later. Depending on your iOS device and version, screenshots in Help file may not match what you see in your app.